Diagram of Simple Wireless Transmitter. Wireless transmission of Electricity: Diagram of Transmitter. Make a coil of 15 turns and connect LED to its ends. Take a PVC pipe and make a coil of 7 turns on it, leave 3 inch wire to make a loop for central terminal and whirl the wire again 7 times. After completing the coil, three terminals will be obtained. Now take 2N2222 transistor, connect its base terminal to first end of coil and collector terminal to the last end of coil. Connect emitter terminal of the transistor to negative terminal of AA battery. The central terminal of coil will be connected with positive terminal of AA battery. The transmitter is now ready. 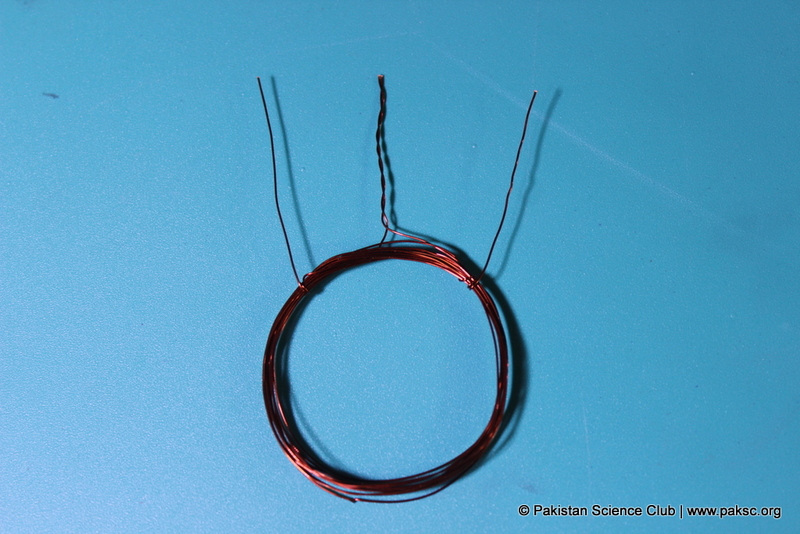 Place the receiver coil 1 inch above transmitter. You will observe glowing LED. 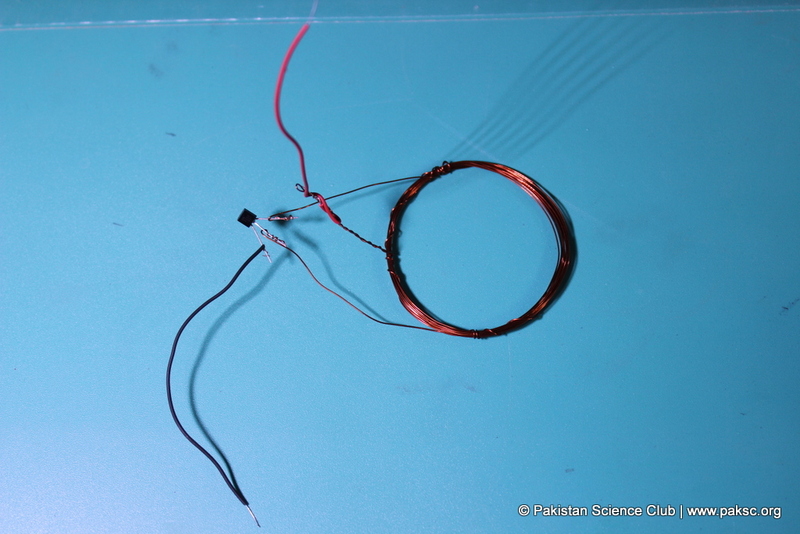 The wireless electricity transmission is achieved by oscillating magnetic field. At first, AA battery provide direct current source (DC). The Direct Current is converted into high frequency Alternating Current (AC) with the help of transmitter circuit. 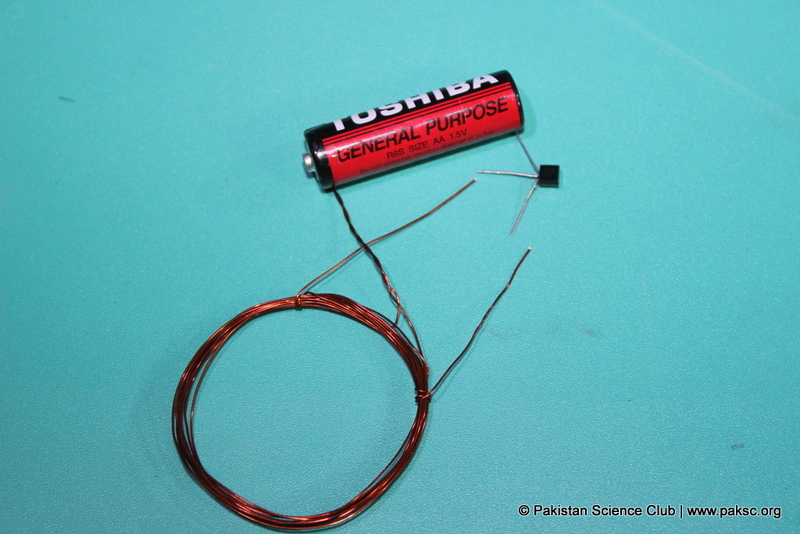 This alternating current energizes the transmitter coil which generates magnetic field. When secondary coil (receiver) is placed near to the primary coil, the changing magnetic field induces an alternating current in it. 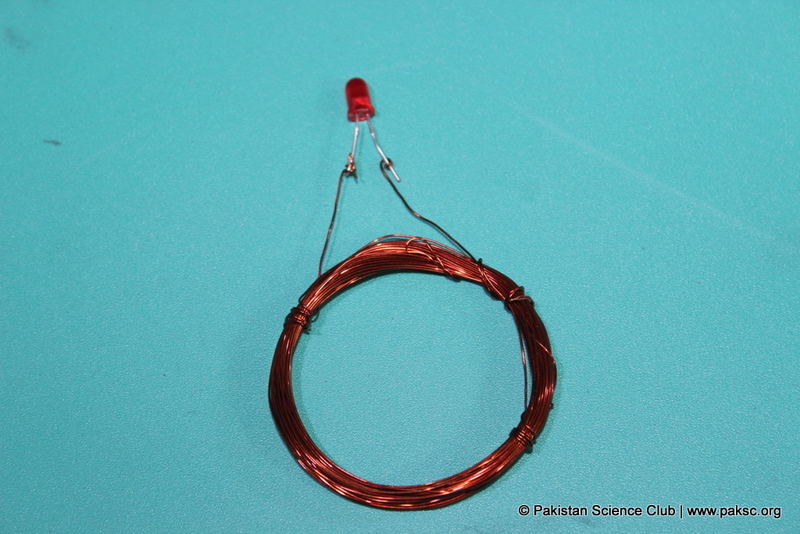 Demonstration of wireless electricity transmission. 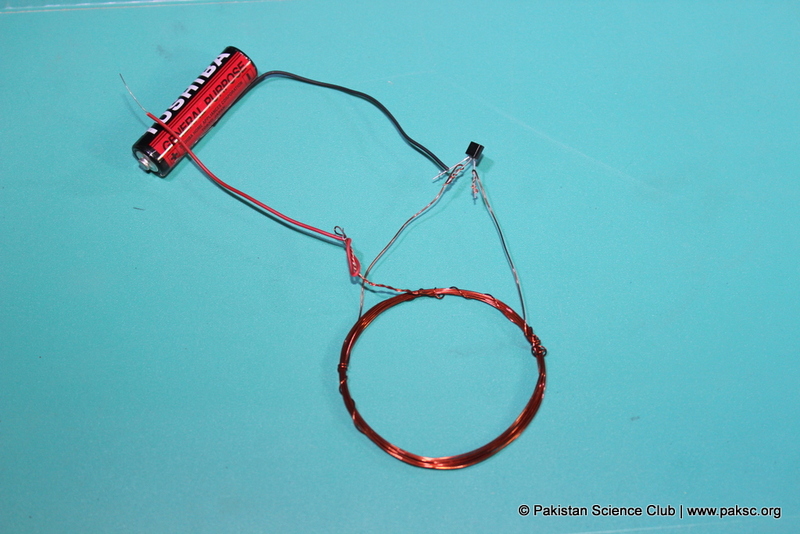 Young scientist of Pakistan science club Bareera Usmaan built wireless electric powered car.